Five Ways Turtles and Tortoises Say I Love You! 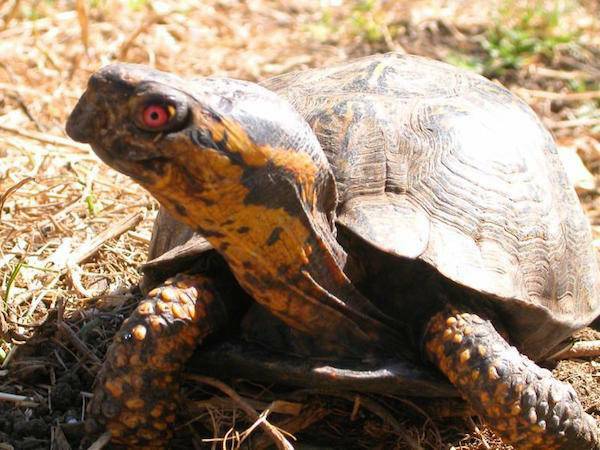 American Tortoise Rescue's mascot Bunkle, an Eastern box turtle, was the first turtle to arrive at the shelter in 1990. We received a call from someone who found him wandering in a nearby town and the rest is history! His strong presence and constant patrolling of the sanctuary earned him the title of mascot which he still holds 26 years later. With the launch of ATR's Mobile "Loyalty Club," you can communicate directly with Bunkle and our other "residents" and be the first to learn of updates, contests, new merchandise and adoption opportunities. To join, text the word turtles to 51555. Bunkle wants to wish all you turtle and tortoise lovers a happy Valentine's Day! They smack their lips when they see you coming. They go to bed without prodding. They look right at you. They always look like they're smiling. They swim right up to you.